Southern Railway vide Board’s letter No.E(P&A)II-2002/HRA-2 dt. 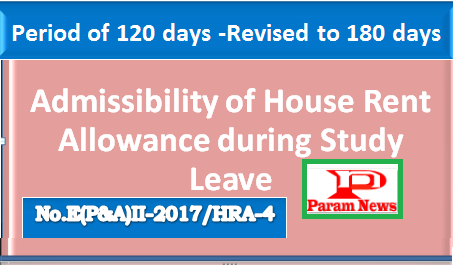 19.02.2002 (copy enclosed) clarifying that the period of 120 days mentioned in Board’s letter no.E(P&A)II-82/HRA-2 dated 04.02.1982 had been revised to 180 days in terms of the amendment carried out to Rule 1707 of IREC-II vide Board’s letter no.E(P&A)/89/HRA-48 dt. 07.08.1992.